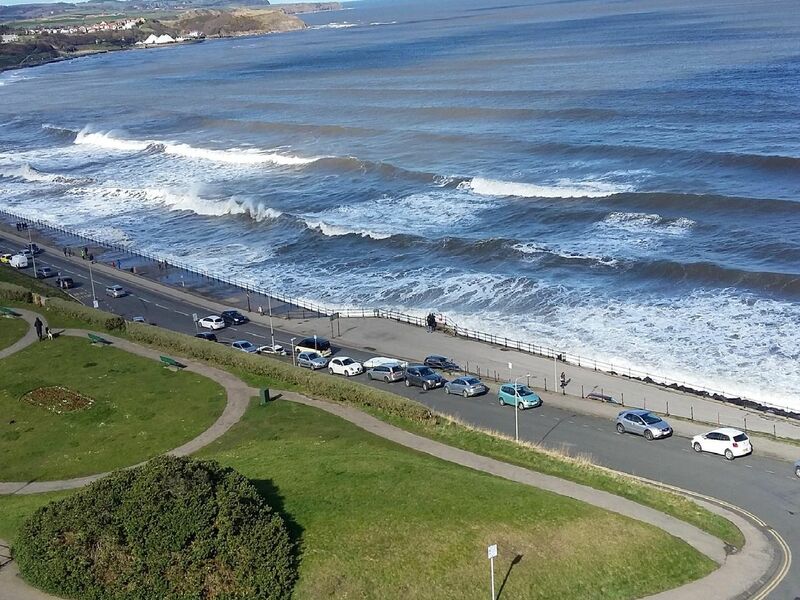 It's probably the favourite outdoor pastime of most people who live in Scarborough or who visit it. Young or old, everyone loves the views and the thrill of the ever-changing sea. So follow us with this pictorial walk on a clear spring day around Marine Drive - or more accurately Royal Albert Drive and Marine Drive, as one leads on to the other. We start near The Sands in the North Bay and finish at the Toll House, near Scarborough Harbour. Surfers and kayakers in the North Bay, near The Sands and the start of our walk to the South Bay. The Bathing Belle statue, once in the town centre, now stands in the North Bay, opposite The Sands shops and apartments. The distinctive Victorian railings are a feature of Royal Albert Drive and Marine Drive. They have largely been replaced by the concrete sea-defence wall. Parking is free from 31st October to 1st March ... then these charges apply.